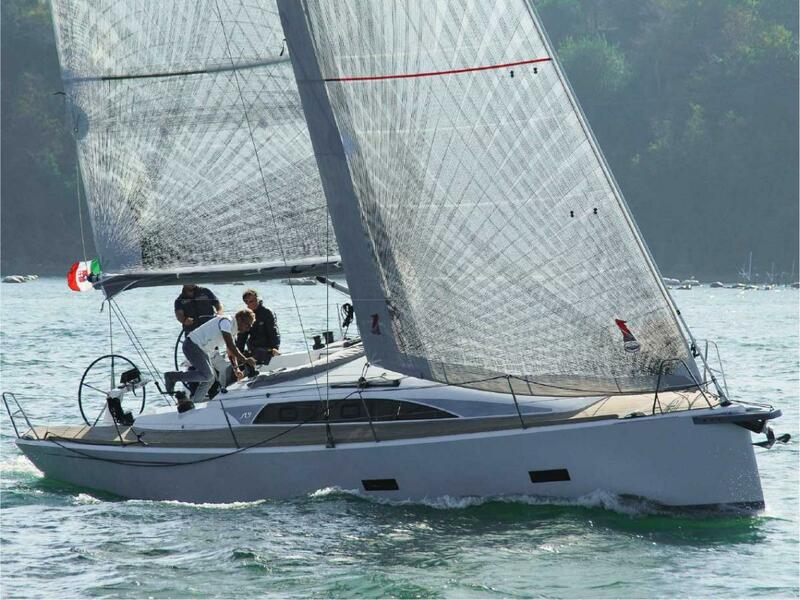 The Sly 38 is a genuine sailboat… enjoyable and an easy-to-sail fast performance cruising yacht. You’ll get a full sensory experience with optimal performance and modern living conditions above and below deck. Upwind and downwind sailing doesn’t get much better than the Sly 38. Comfortable and effortless, you’ll be in front of the fleet while easily maintaining control of the boat…a perfect boat for the varying conditions and competitive sailing in and around New Zealand. The interior is adaptable to racing and cruising. The furniture is easily dismounted for a lighter, faster boat or kept on board for comfort when entertaining or extended sailing. The Sly 38 fast performance sailing is due to its composite hull and deck, sandwich Termanto foam core, E-glass and carbon reinforcements and infusion by Vinylester resin. Seaworthy and innovative, the Sly 38 is a Marco Lostuzzi design project with a generous sail plan, modern hull shape, middle-to-low displacement and an efficient shape on the fin and bulb.